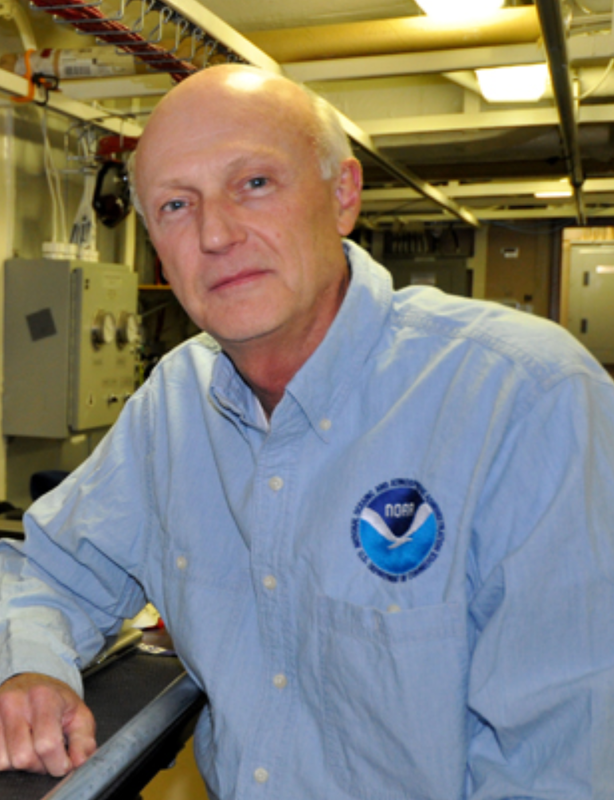 Andy Armstrong, NOAA co-director of UNH’s Center for Coastal and Ocean Mapping/Joint Hydrographic Center, will be inducted into the Hydrographer Hall of Fame of The Hydrographic Society of America (THSOA). THSOA honored Armstrong for his “distinguished career as a hydrographer, first as a NOAA officer, and later as one of the founders and key administrators of the University of New Hampshire’s The Center for Coastal and Ocean Mapping/Joint Hydrographic Center (UNH-CCOM/JHC).” As a NOAA officer, Armstrong served on several hydrographic ships, including his service as commanding officer and chief hydrographer on the Whiting. He later served as the Chief of NOAA’s Hydrographic Surveys Division. The Hall of Fame was created by THSOA to honor hydrographers who have had distinguished careers, contributed to the advancement of hydrographic science and/or provided exemplary service to the society. Armstrong joins Larry Mayer, director of CCOM/JHC, in the Hall of Fame.